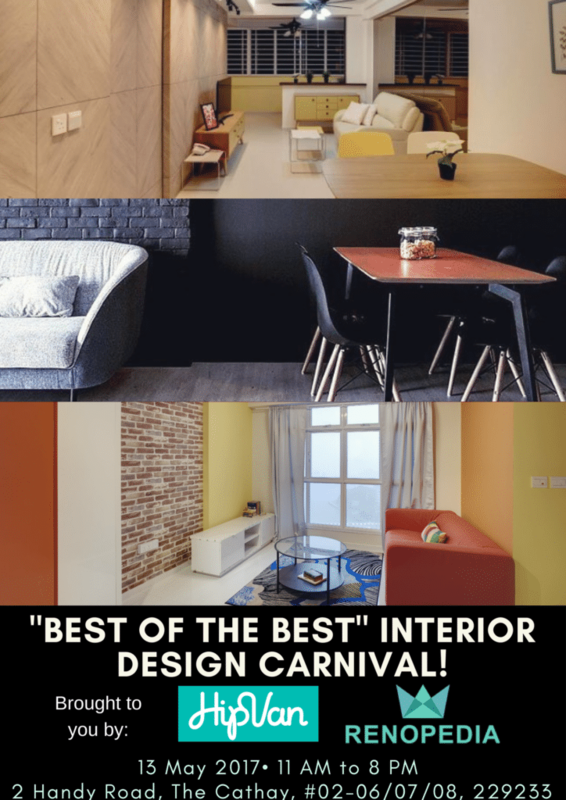 BEST OF THE BEST Interior Design Carnival!! HipVan (Singapore Best Online store for Affordable Apartment Furniture & Décor.) and Renopedia (Singapore Most Engaging Online Renovation Media) come together to bring you the "BEST OF THE BEST" Interior Design Carnival!! Together with the best interior design firms and merchants in singapore. Come join us on 13th May 2017, 11am-8pm at 2 Handy Road, The Cathay, #02-06/07/08, 229233! Over 10,000 Of Satisfied Owners... You Can Be One Today! ".... Saved Me So Much Time"